If you’re looking for a new gas boiler then we are the right people. We specialise in Natural gas and LPG boilers, hobs and fires. 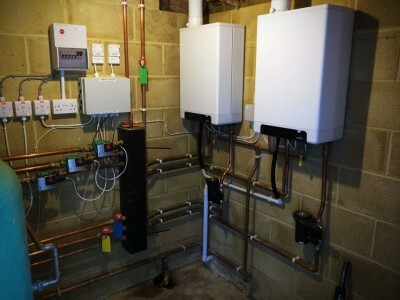 We can install all makes of condensing gas boilers but Intergas and Worcester are our preferred range, and generally if we specify a system to you it will be from either of these companies ranges. Depending on your requirement we can offer a basic boiler swap, right to a full central heating system, whether it be a replacement system – or a completely new installation. All boiler changes include updating the control system to current standards, these can be basic user friendly controls right the way up to the latest systems that can be controlled from your smart phone ensuring your heating is on when you need it be.